A Heart's Desire: Happy Birthday Daddy! Wishing my Dad a great Birthday! 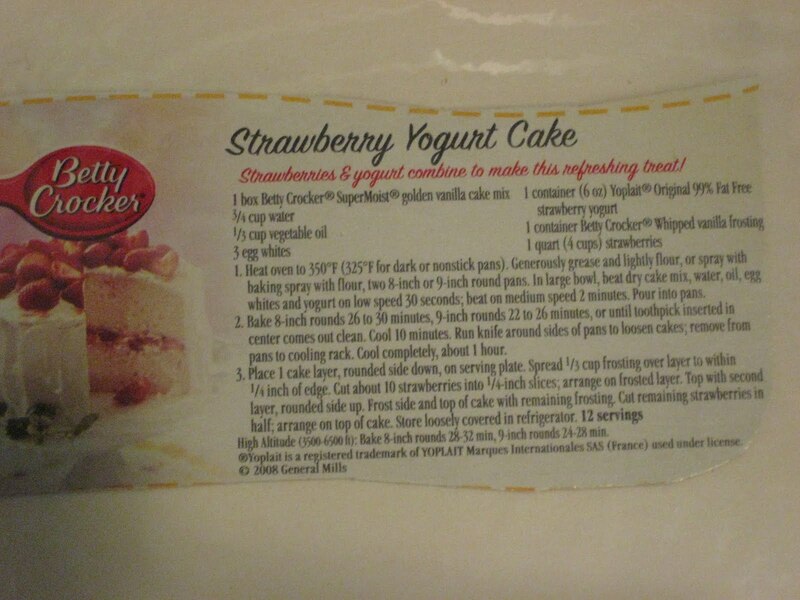 I have the easiest recipe, it came from a box of Betty Crocker cake mix. 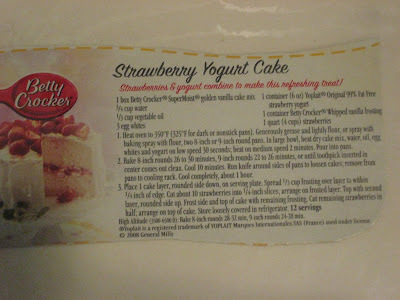 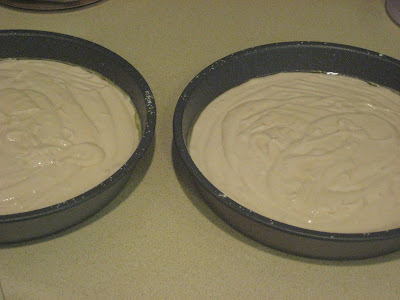 The batter was really yummy with the strawberry yogurt mixed in, it turns the white cake a little blush. 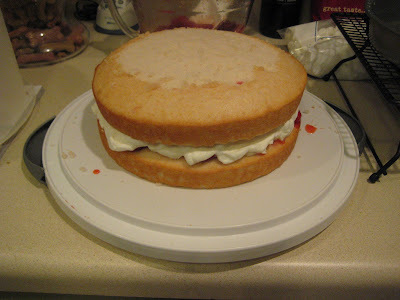 The layers...I like to slice just a little off the top of each layer so the strawberry juice will soak in good. 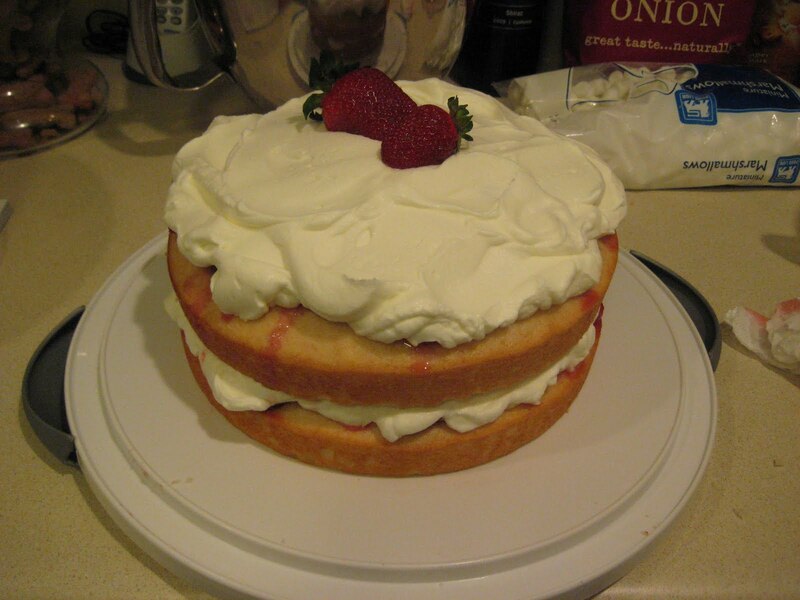 I also make my own whipped cream, no icing on this cake. 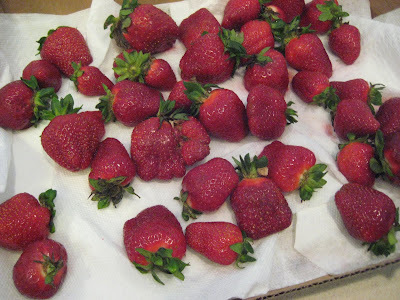 Make yourself one NOW and pick some fresh berries! 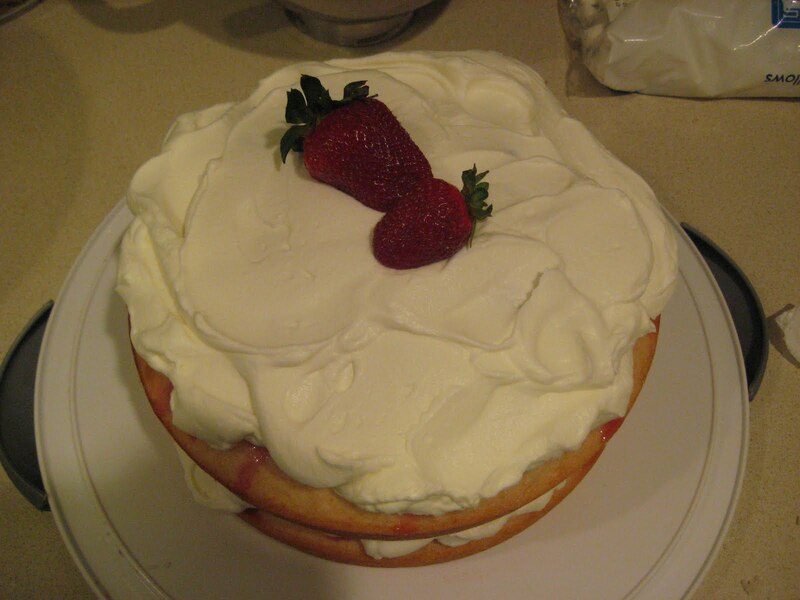 I loved the look of this cake and having whipping cream instead of frosting.